George R.R. Martin sold his first story in 1971 and has been writing professionally since then. He spent ten years in Hollywood as a writer-producer, working on The Twilight Zone, Beauty and the Beast, and various feature films and television pilots that were never made. 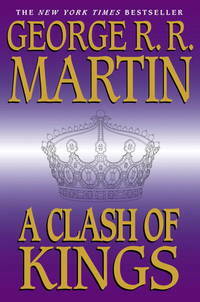 In the mid '90s he returned to prose, his first love, and began work on his epic fantasy series, A Song of Ice and Fire. He has been in the Seven Kingdoms ever since. Whenever he's allowed to leave, he returns to Santa Fe, New Mexico, where he lives with the lovely Parris, a big white dog called Mischa, and two cats named Augustus and Caligula, who think they run the place. Bantam. Used - Good. All orders guaranteed and ship within 24 hours. Your purchase supports More Than Words, a nonprofit job training program for youth, empowering youth to take charge of their lives by taking charge of a business. Bantam. PAPERBACK. 0553381695 Good Condition. Has some crinkling. Five star seller - Buy with confidence! . Good. Bantam. PAPERBACK. 0553381695 Very Good Condition. Has some wear. Five star seller - Buy with confidence! . Very Good. Bantam. PAPERBACK. 0553381695 PB, 1999, 25th print. Ships next day. Book is in very good shape, no tears, scribbles, highlighting or underlining, a little general wear, from a smoke-free environment. Items are typically shipped in a plastic bag, in a cardboard cradle, in a manila envelope. Most of my customers rave about my packaging. All US items are shipped with delivery confirmation, if you require this, please let me know. . Very Good. George R.R. Martin, Paperback. S. Very_Good. Used book in very good condition Has very little wear and tear on the cover. Binding is tight. Reliable customer service and no-hassle return policy. We ship daily Monday-Saturday. Delivery confirmation included. Bantam Dell Pub Group, 2002. Trade Paperback. Good. Softcover. Sound & good copy, light to moderate rubbing/edgewear to wraps, thumbing wear, creasing to back wrap. Bantam. Used - Good. Good condition. Slightly dampstained. Bantam. Paperback. 0553381695 Softcover, minor wear with light peeling to cover lamination, pages starting to tan, solid binding, a nice reading copy! . Good. 2002. Bantam. Paperback. 0553381695 . 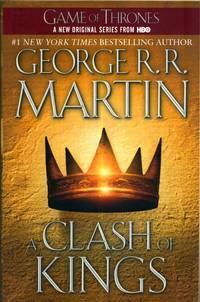 Has some cover curl, otherwise, clean ; A Song of Ice and Fire, Book 2; 9.10 X 6.10 X 1.50 inches; 784 pages . Bantam Dell Pub Group. 2Nd Edition. Clean Tight And Square. No Markings Or Creases. With Little Shelf Wear. . Very Good. Soft cover. 2nd Edition. 2002. Bantam. Paperback. Used; Good. **WE SHIP WITHIN 24 HRS FROM LONDON, UK, 98% OF OUR ORDERS ARE RECEIVED WITHIN 7-10 DAYS. We believe you will be completely satisfied with our quick and reliable service. All orders are dispatched as swiftly as possible! Buy with confidence! Bantam. PAPERBACK. 0553381695 BRAND NEW, GIFT QUALITY! NOT OVERSTOCKS OR MARKED UP REMAINDERS! DIRECT FROM THE PUBLISHER!|1.67 . New. Bantam. PAPERBACK. 0553381695 Remainder mark . Fine. Bantam. PAPERBACK. 0553381695 . New. New York, New York: Bantam Book / Random House Company, 1999. Later Printing. Softcover. Very Good/No Jacket. 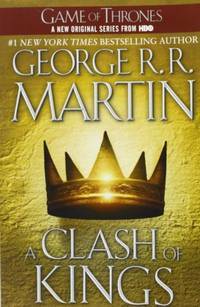 Used Book: Trade Paperback Standard used condition. Reading copy or better. Bantam, 2002-05-28. Reprint. Paperback. Used:Good.